If you want to compete with the best shooters out there, you're going to need the best ammo out there. 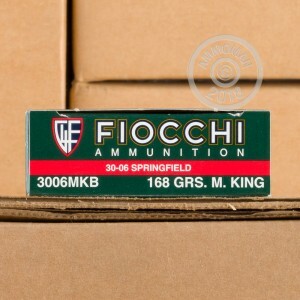 That means premium match grade cartridges like these .30-06 rounds from Fiocchi. Packaged in boxes of 20, this ammo uses a 168 grain version of the renowned Sierra MatchKing bullet. This precision-crafted bullet features a boat tail profile designed to resist wind interference and enhance the projectile's external ballistics. 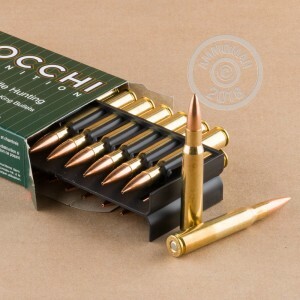 Like all Fiocchi ammo, these cartridges use non-corrosive Boxer primers and brass cases. Grab a few and we'll help take the sting out of buying match-grade ammo--all orders over $99 at AmmoMan.com ship for free!